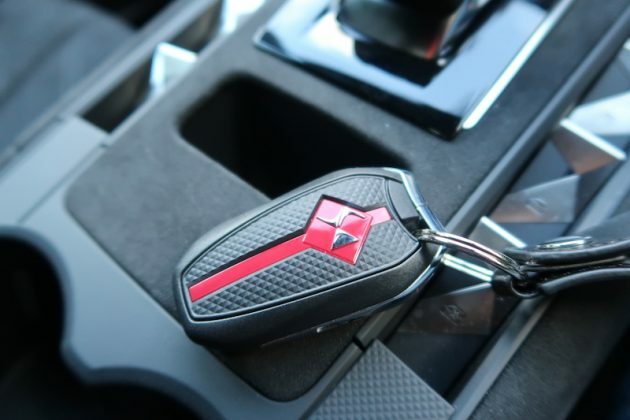 So, you’re after a stylish, premium SUV, but you want to stand out from the crowd. You’ve decided to shun ze Germans, and also to dismiss the Range Rover Evoque. What does that leave you with? 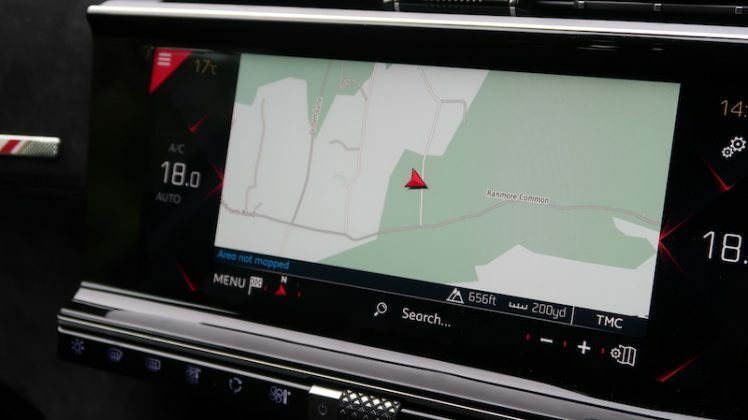 Well, that leaves you in the domain of the new DS7 Crossback, the first new model to come from the stylish French brand since it split from Citroen in 2014. 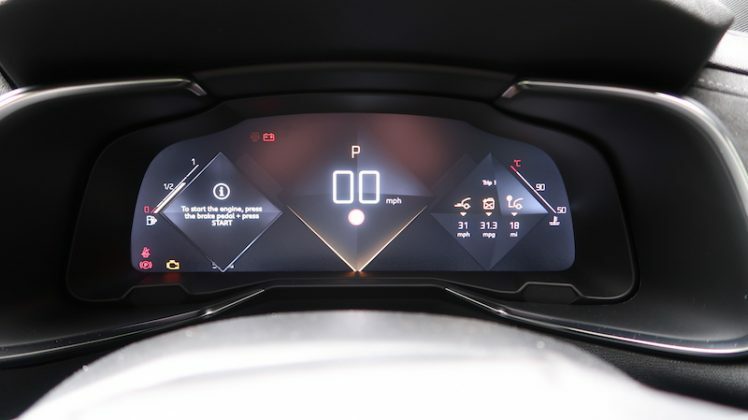 I say it’s a new car, it’s actually built on the same platform used for the Peugeot 3008, a car I liked very much. The 3008 was also European Car of the Year, so that ought to put the DS7 Crossback in good stead. 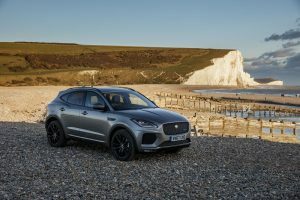 However, the 3008 is pitted against the likes of the Nissan Qashqai and the SEAT Ateca – the Crossback, on the other hand, is looking to take on the best of Germany. 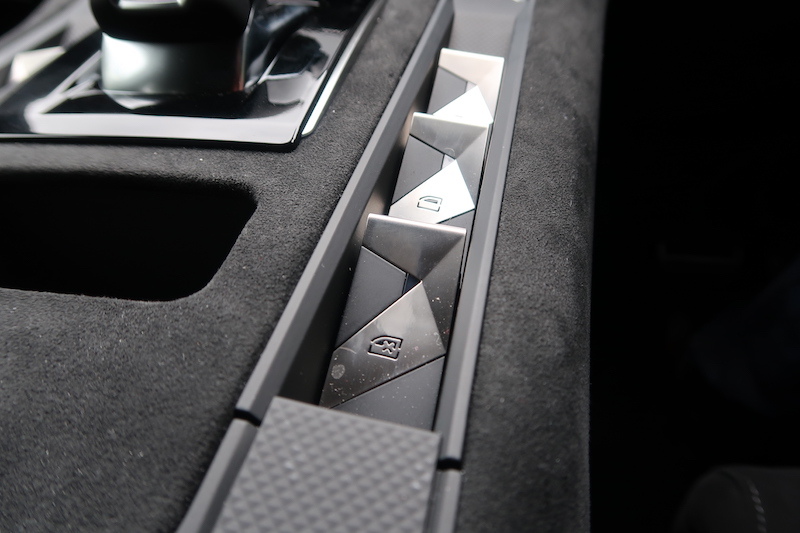 With that in mind, can DS’ latest effort do enough to tempt buyers away from all things Bavarian? 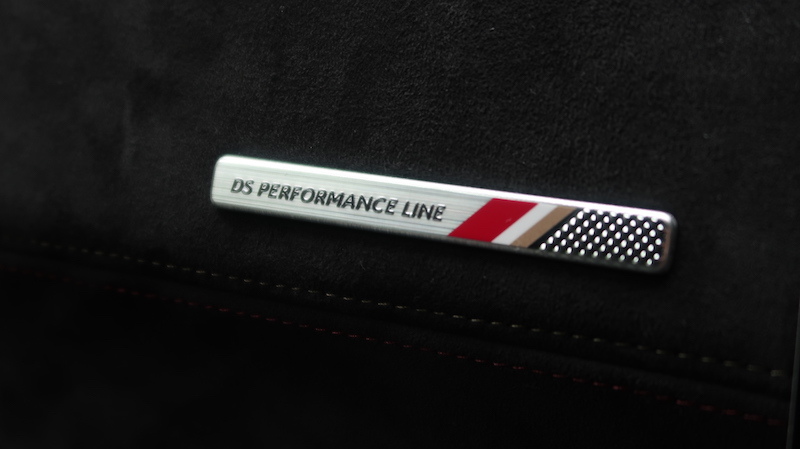 This is an area where the DS needs to nail it, as after all, the brand is all about style and of course, avant garde. The model tested here is the Performance Line, meaning you get black details to the outside as opposed to chrome, and it provides a pleasurable contrast to the optional ‘Absolute Red’ paint finish. As standard you’d receive 19″ alloys but my test car had the optional 20s, which look great, but they are just begging to be kerbed if you ask me. Yes, I’ll admit the front end does look rather Audi, but the car’s back end is where it has more of its own identity. The inside is a lovely place to be, with pleasing materials scattered all around the spacious cabin. Some may want a look that is a bit less fussy, but I was very impressed when I first got in the car. Yes, there are some hard plastics, but you will need to go out of your way to find them as there is a plethora of alcantara and fancy switchgear to keep your eyes engaged. 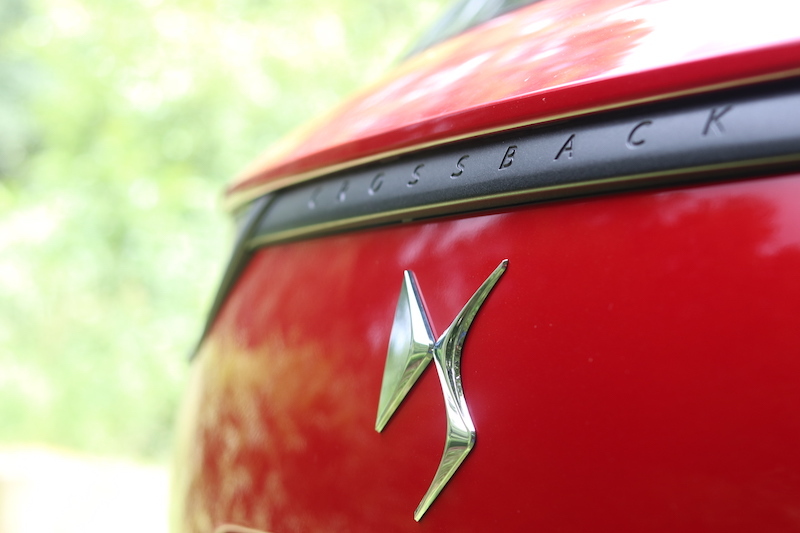 The DS7 Crossback has got off to a great start then. 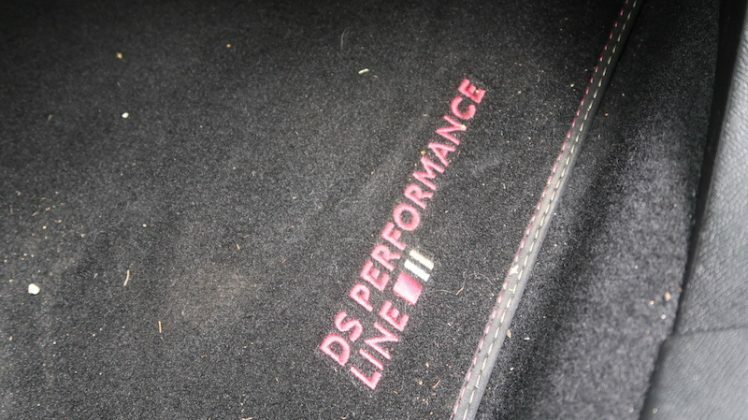 With an asking price starting from £31,480 (£34,990 for this engine), the Performance Line had better offer a decent amount of kit, and thankfully it does. 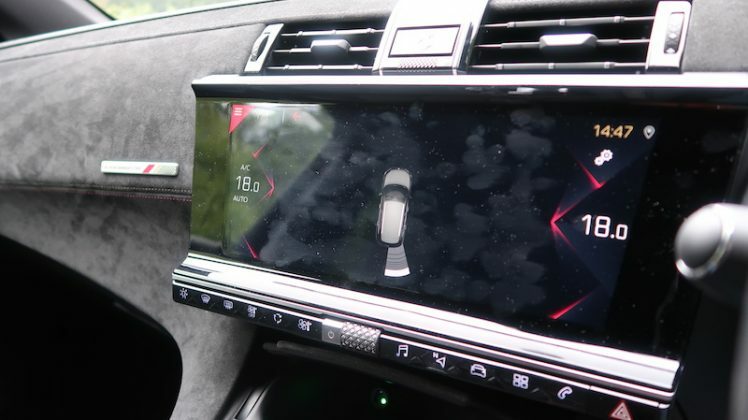 Standard features include 12″ touchscreen, 12.3″ digital display, navigation, dual zone climate control, smartphone connectivity, active scan suspension, LED lights, rear parking sensors and an interior clad in leather and alcantara. If that is a bit rich for your blood, then you can opt for the base model, which is called ‘Elegance’, and is priced from £28,095. 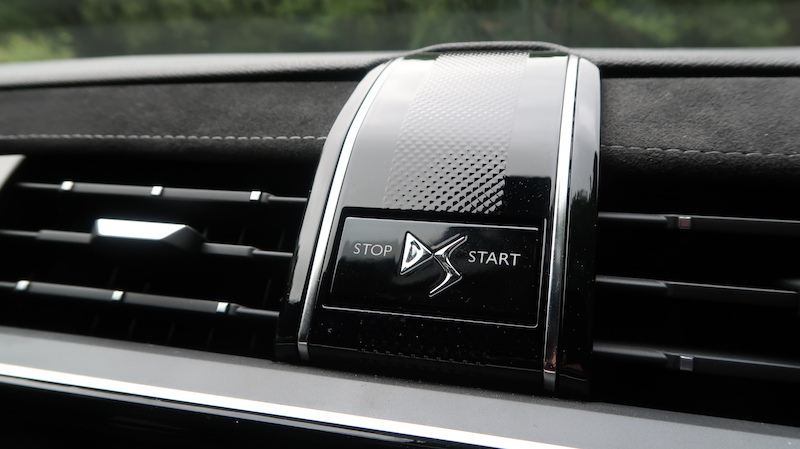 This offers rear parking sensors, 8″ touchscreen, smartphone connectivity, dual zone climate control, and keyless start, so it’s not as if you’ll be left wanting. One of the key highlights of the DS7 is the large digital instrument cluster, which looks great. 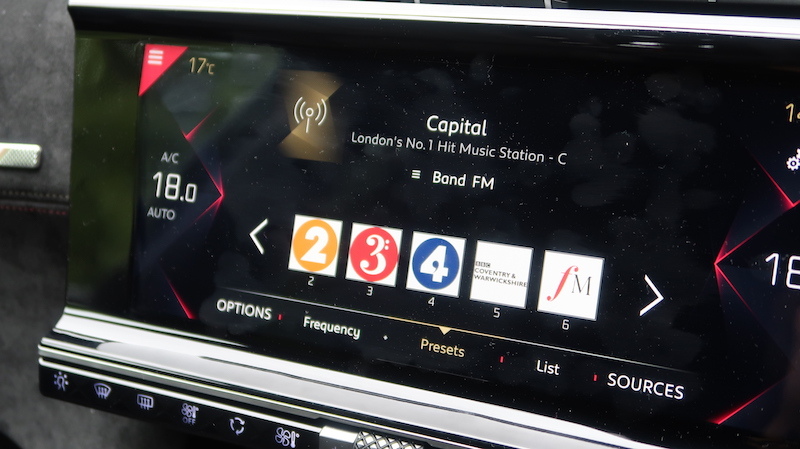 You also get a large 12" touchscreen that is displayed nicely and is pleasant to use. 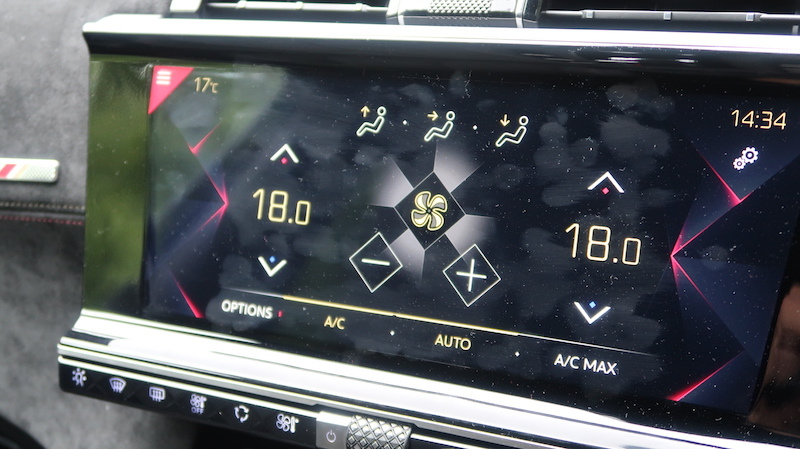 Above the Performance Line you have Prestige and Ultra Prestige, which start from respective prices of £34,480 and £43,190. 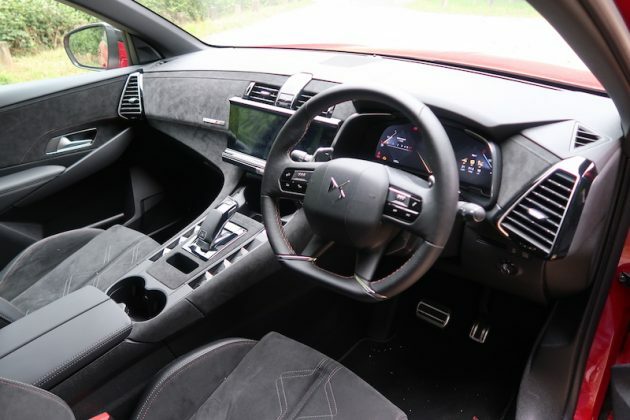 The former adds features such as wireless phone charging, leather seats, advanced safety pack and front parking sensors with reversing camera, whilst the latter goes better still with features including Nappa leather seats, uprated sound system, DS Connected Pilot, 20″ alloys, and a panoramic roof. Citroen is well know for its comfort, and as DS used to be a sub-brand of said company, you would expect that to rub off, and indeed it does. 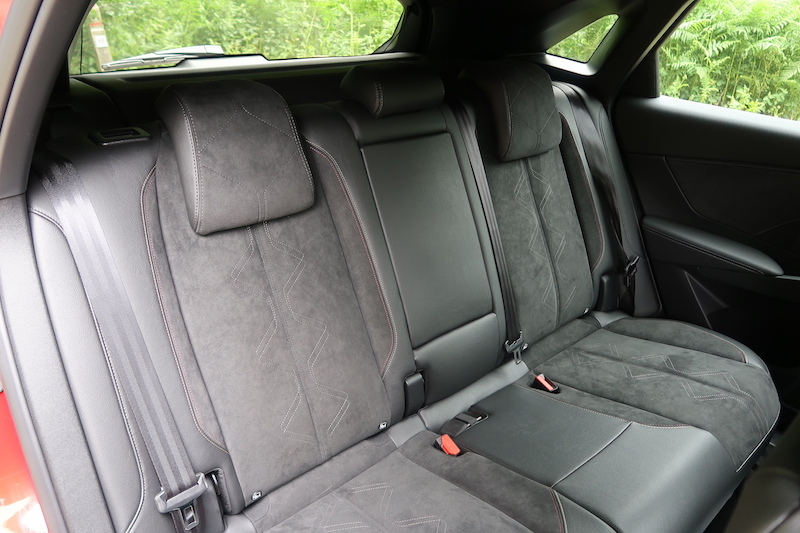 The interior is a genuinely nice place in which to park your bottom as not only does it offer a high level of comfort, but also plenty of space. 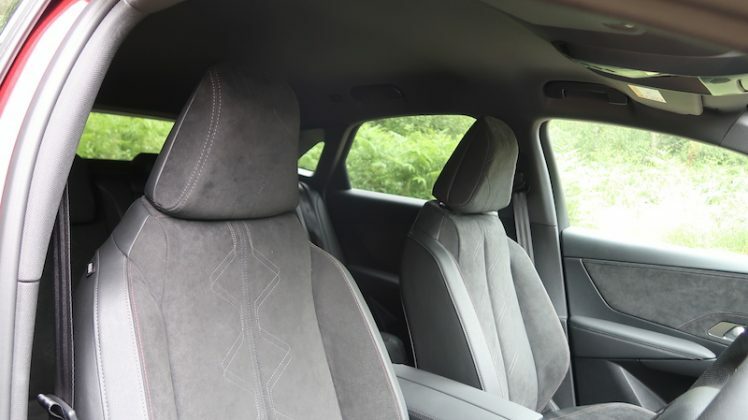 Space in the front is very good, and you should never find yourself bumping arms with your passenger, although that would be disappointing for a car of its size. Getting a good driving position is easy as the seat has a good level of adjustment, as does the steering wheel, so there are no complaints to be had there. 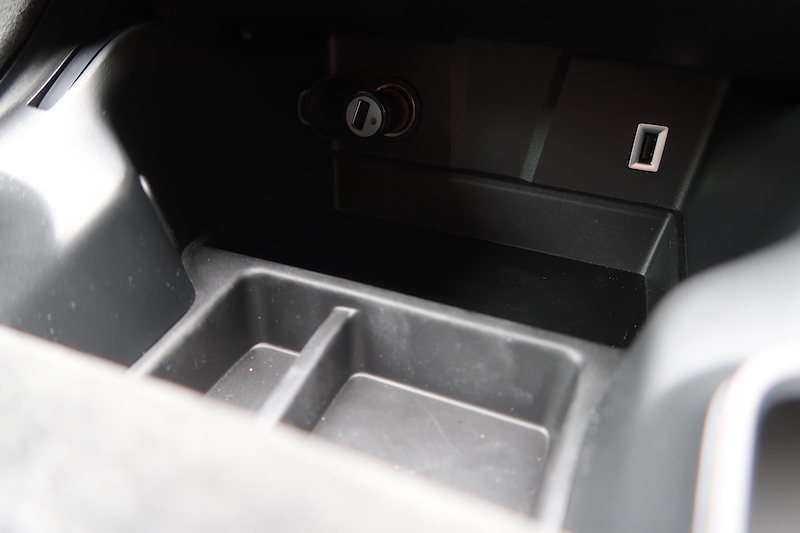 In terms of storage, there are plenty of cubbyholes dotted around the cabin, meaning it should be well suited for family life, plus the storage compartment in the middle is cooled – handy for those long summer road trips. The front is a very comfortable place to be, and there is lots of space, too. There's a good amount of storage space as well. 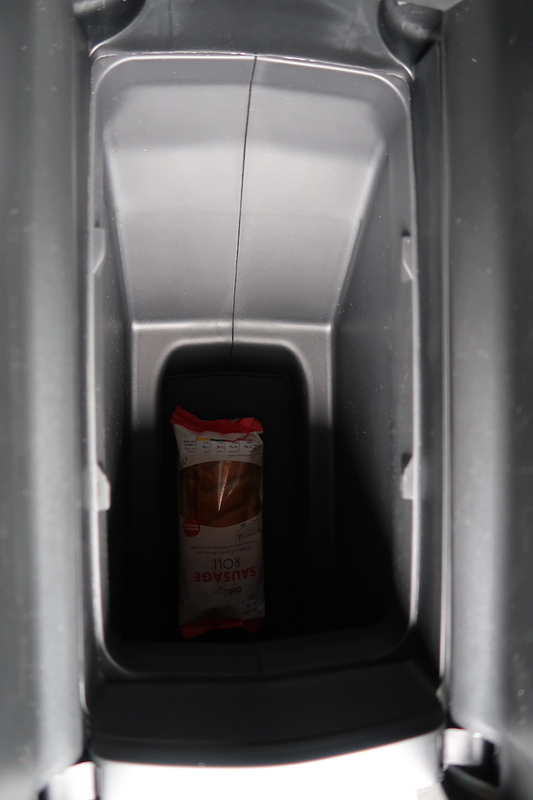 The central compartment is very deep, offering amble space, and it's cooled too, which came in very handy for my sausage roll. 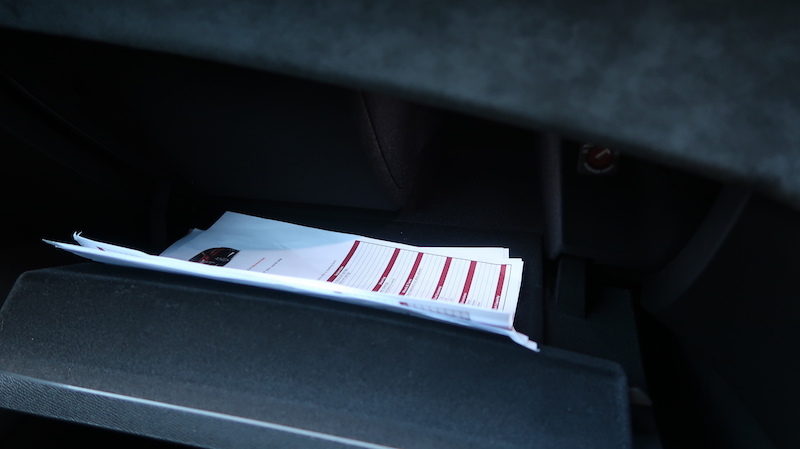 The only downside is that the glovebox is rather small. Like the front, the back offers a good amount of space. 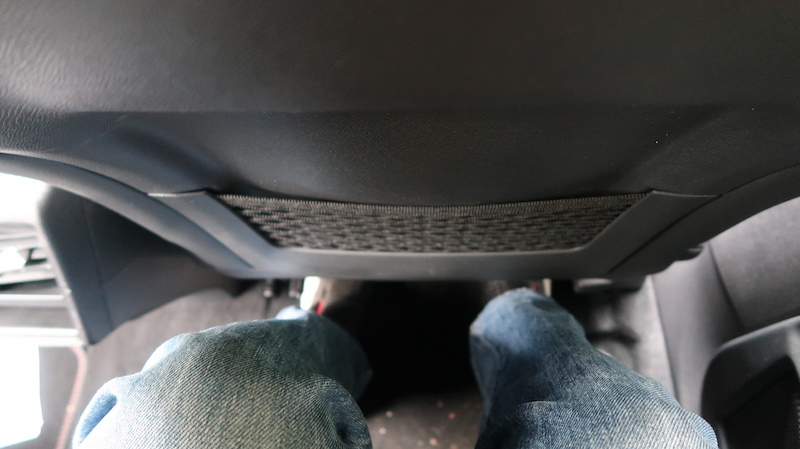 Even with the driver's seat set for my 6'2" frame, I had plenty of legroom in the rear. 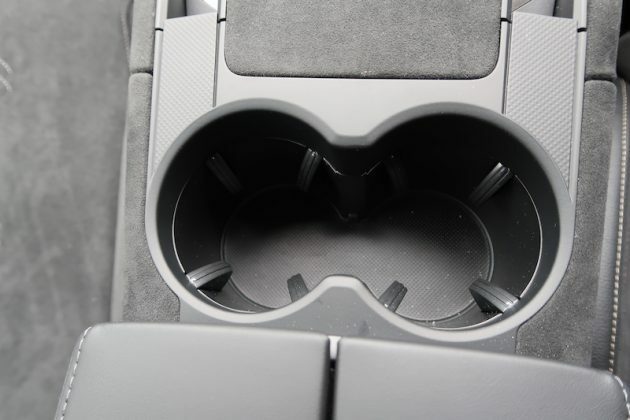 There's also good space under the front seats, allowing you fit you feet under them with no problems. The boot is also of a good size, offering 555 litres of space. There's also a ski hatch, in case you want to load longer items - in my case, a camera slider. The back of the car is just as spacious as the front and although it’s a bit dark back there due to the black rooflining, even taller passengers will comment on the generosity of space. 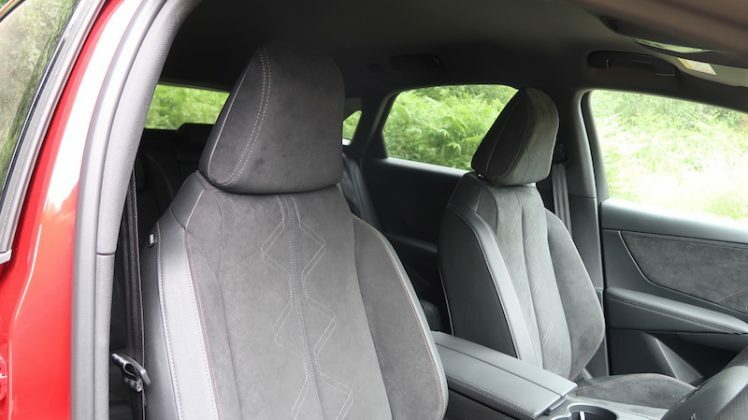 There is plenty of legroom and headroom, plus there is ample space to slide your feet under the seat in front of you. 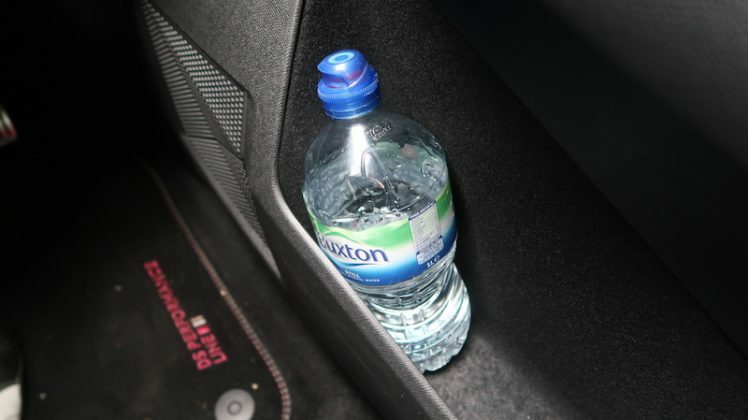 The boot is another area where the DS7 Crossback shines, as it offers no less than 555 litres. 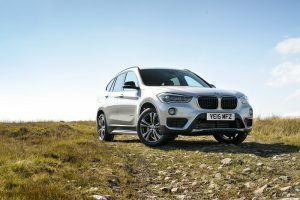 This is more than BMW X1 and the Audi Q3, so this could swing it for you if you’re looking for a car that offers as much space as possible. If you do happen to need more space then you can fold down the 60/40 rear seats to give you over 1,700 litres. 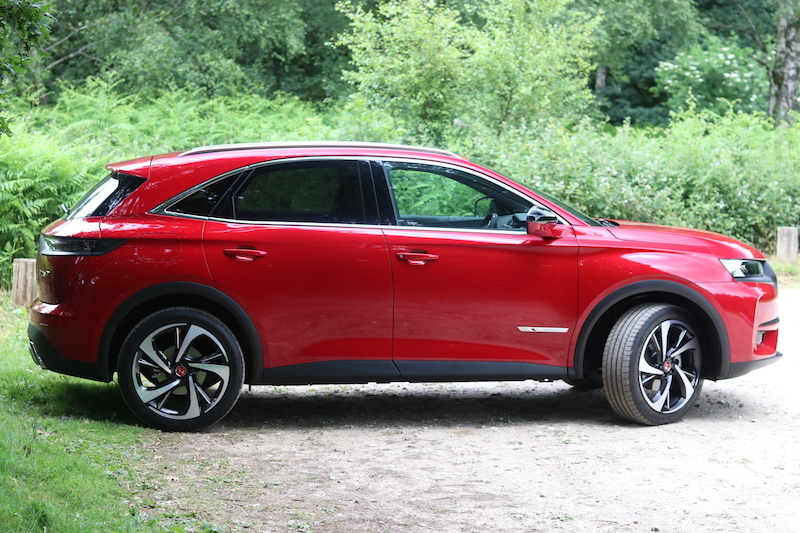 The DS7 Crossback is more aimed for comfortable crusing than dynamic driving, and that is clear to tell once you have rotated the large wheels a few yards. 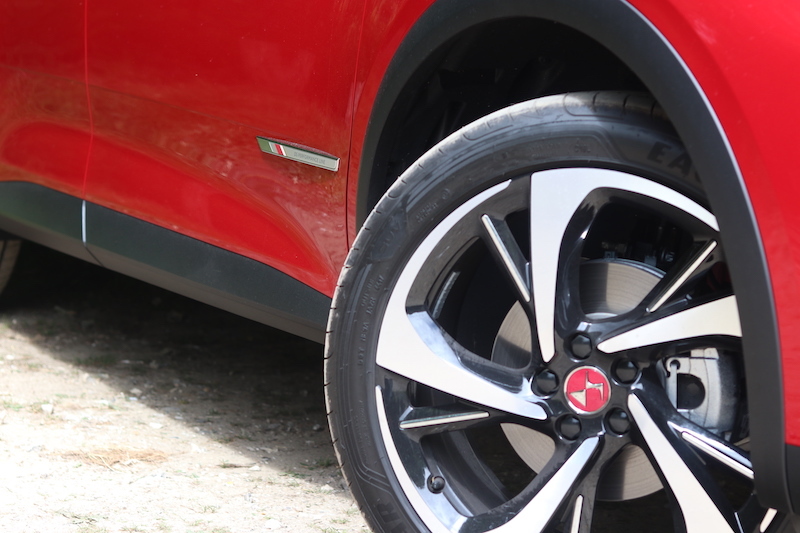 Unless you go for the base model, you’ll enjoy a feature known as the Active Scan Suspension. 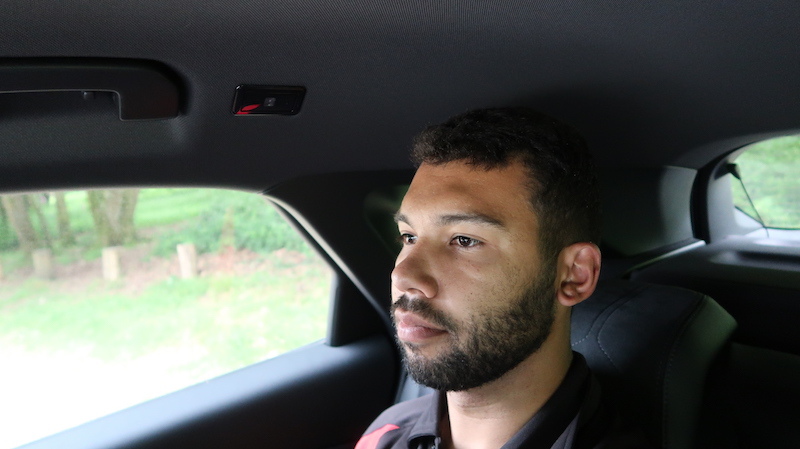 Thanks to a camera placed behind the rear view mirror, the car’s brain is able to scan the road ahead and make changes to the suspension based on steering, braking and throttle to make the ride smoother. Does it work? 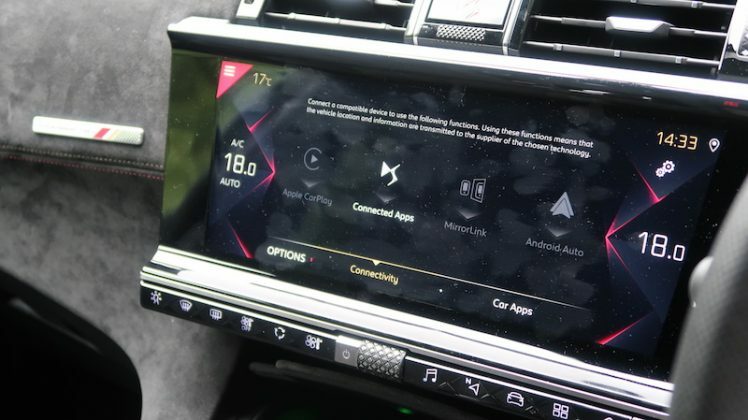 It certainly does, but you need to ensure you leave the car in its default mode, as you’ll soon find a firmer experience if you go in Sport mode. Speaking of sport, let’s talk about the engine, which not only packs a fair punch, but is a new addition for this model. It’s the 1.6 litre turbocharged PureTech petrol, which offers 222bhp with 300Nm of torque. This power is fed to the front wheels via an 8-speed automatic gearbox which is smooth and efficient. These forces combined are able to get the Crossback to 62mph in a respectable 8.3 seconds, before topping out at 141mph. Despite this clout, the car is never able to really get your blood pumping, but then again that’s not the main aim of this car. The performance is strong though, and it’s able to gather pace with little fuss, plus it makes motorway driving a piece of cake. There is a slight delay from the automatic, but nothing to cause major concern, and the changes are so smooth that your even your finest hairs will not be unsettled. 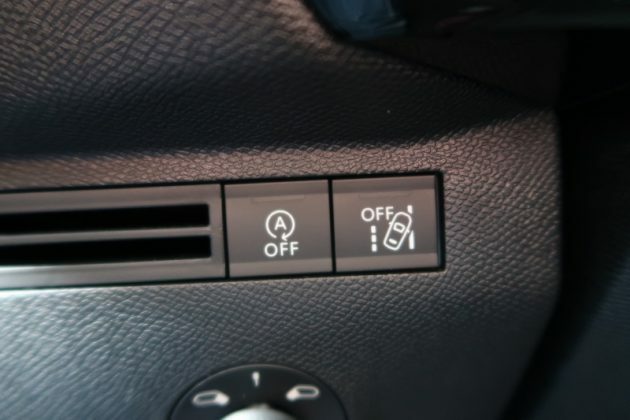 This makes the car an extremely competent cruiser, but the Sport mode is on hand if you want a bit more performance. This gives an more vocal engine note, better throttle response, a firmer ride and heavier steering, which in truth feels too artificial for my liking. 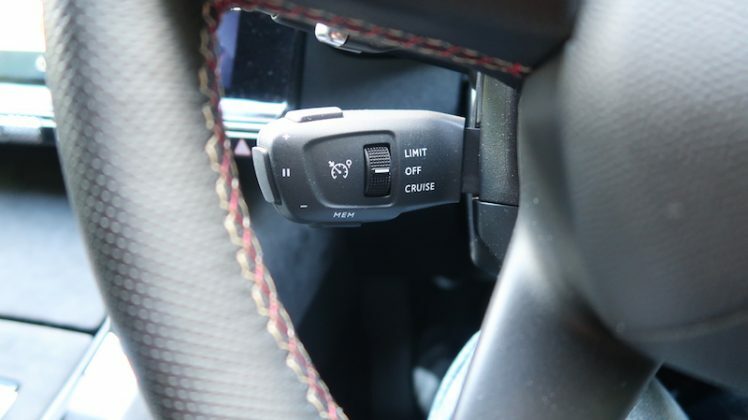 Like other PSA Group SUVs I’ve tested, the steering feels detached numb off centre, meaning that you’ll receive minimal feedback in the twisties. The body roll is predictably pronounced, but if I’m honest it’s not quite as bad as I was expecting from a car of this size. The grip from the Eagle F1 tyres is strong as well, but it doesn’t take you long to realise that this car is not set up to be dynamic. The lane departure warning is also an annoyance on country lanes as it’s more persistent as a child that wants their favourite toy bought for them. In the end, you’ll probably find yourself turning the function off – with a large hammer. 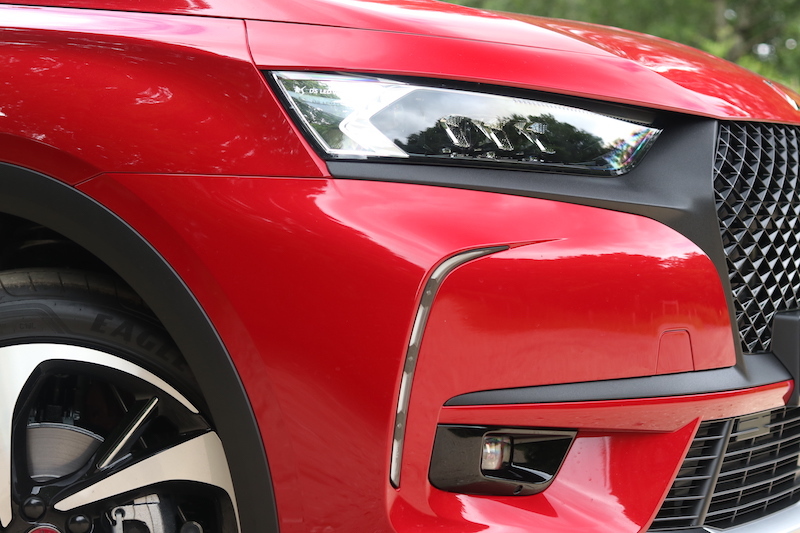 Apart from this small distraction, the DS7 Crossback is a pleasant car to drive, and it’s one you could drive for long distances with little concern. Yes, there is some wind noise to contend with, and the 20″ alloys also generate road noise, but you’ll never find yourself having to shout at your passengers. Mind you, I would recommend that you stick with the standard 19″ alloys as they should be quieter, plus you’ll get an even better ride. 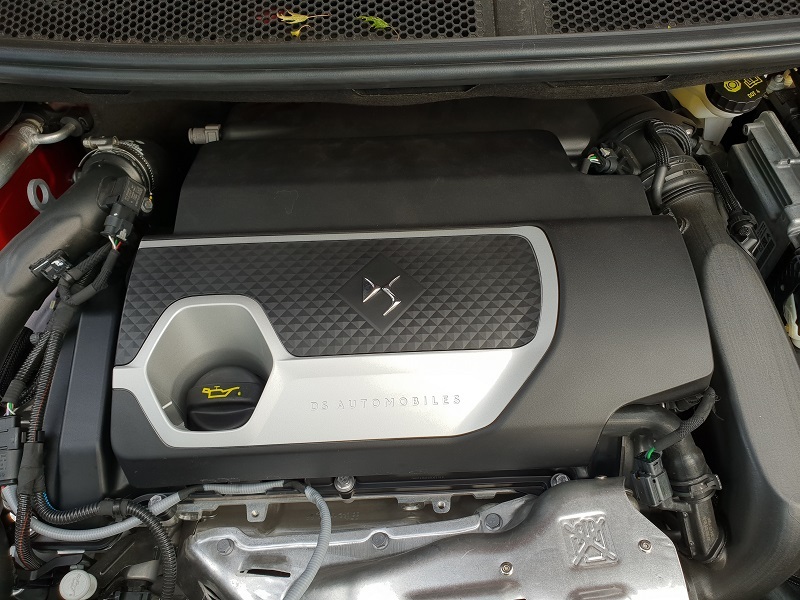 It goes without saying that the Puretech 225 engine will not be the most frugal engine out of the DS7 Crossback’s line up, and indeed that rings true when you go through the stats. On a combined run you should be getting 47.9mpg, and in my experience I was getting around 37-38mpg, with the car set to ‘Normal’ mode. There is an Eco mode to better improve things, and in that mode I was able to muster around 44mpg. 134g/km of CO2 is emitted from the back end of the Crossback, meaning that for the first year of VED you’ll pay £205. For those looking for the best economy, there is a 1.5 litre, turbocharged diesel which is able to offer up to 72.4mpg on a combined run, and emits 101g/km. This means you will pay £145 for the first year of road tax, and this engine benefits from a BIK percentage of 25% compared to the petrol’s 26%. 2019 will see the addition of a plug-in hybrid powertrain which will also use four wheel drive, offering 40 miles range when only the batter is used. This will be the better choice for those looking for a car that is more future-proof and more viable as a company car. 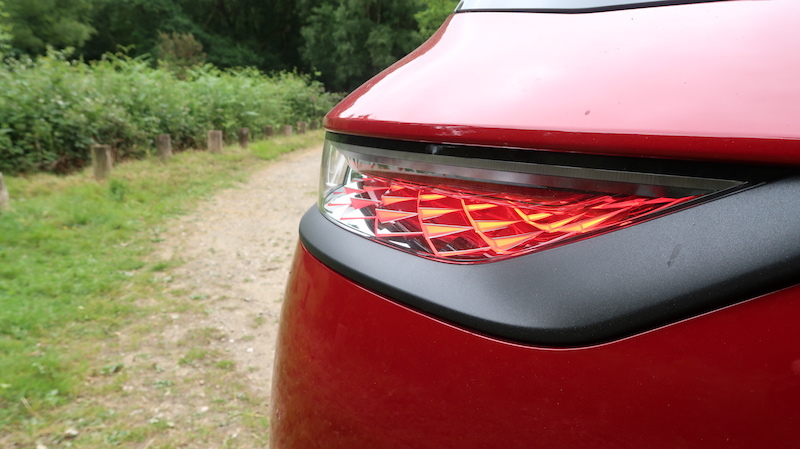 DS has tried to stand out with the new DS7 Crossback, and in parts I think it has worked. There is still the issue of brand awareness that needs to be overcome, plus I don’t feel the car does quite enough to want to lure people away from competitors. The price is also a barrier if you ask me, as I feel buyers will fare better if they go German. The DS7 Crossback is a stylish, comfortable and spacious SUV that should fit right in with you a family like that demands a fashion-conscious vehicle. It’ll also be a rarer sight on the road, so if you’re looking for something with a bit more exclusivity, this could be well suited for you. I do fear it could be a bit too niche though. The Q3 is cheaper to buy, but doesn’t offer as much space as the Crossback, but like the Crossback, you’ll get a stylish and premium finish. 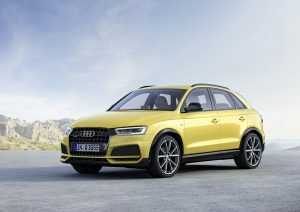 It should prove more dynamic to drive, plus you’ll get a good choice of engines – and four wheel drive of course. Like quite a few German cars though, the options list can soon get rather expensive. The X1 used to be an ugly thing if you ask me, mostly because it looked out of proportion, as if the ends of two different cars had been fused together. The new one looks much sharper, but it’s still not as striking as the Crossback. 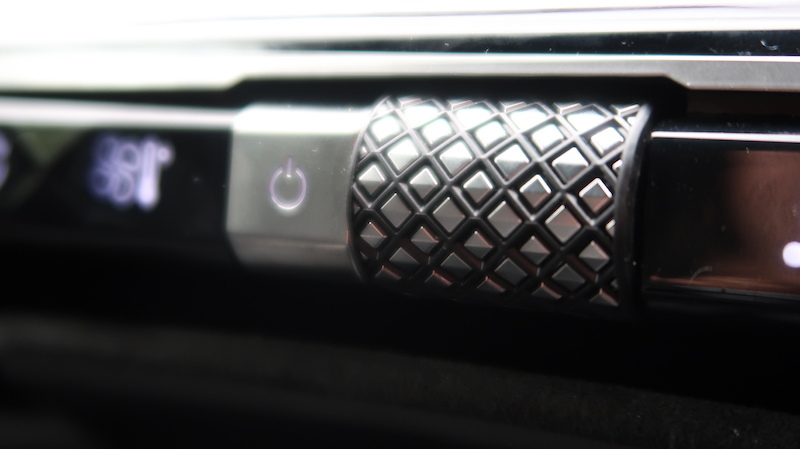 The X1 will also cost you less money, but like the Q3 it won’t offer as much space. Four wheel drive is an option though, and it should be more dynamic to drive than the Crossback.